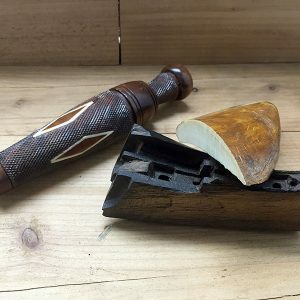 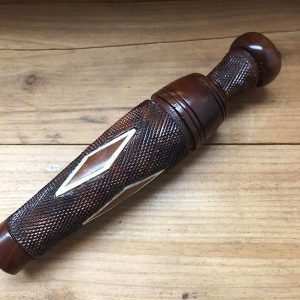 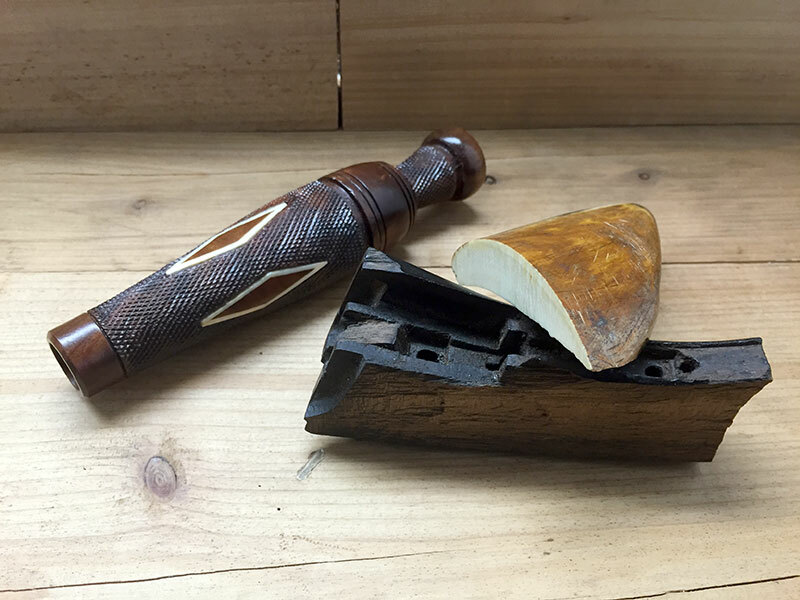 This duck call is made of burled want with hand checkering on the body and the stopper. 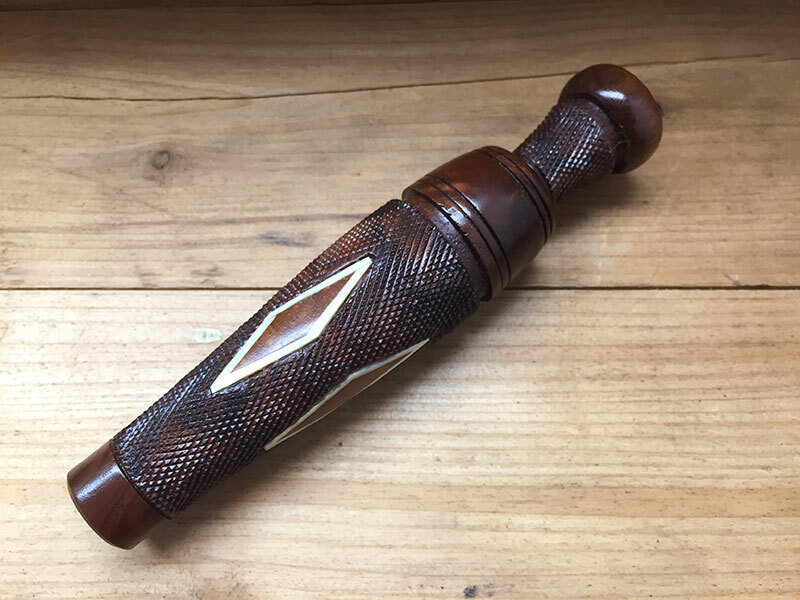 The inlay is ivory from a woolly mammoth, which surrounds English walnut from Admiral Anderson’s Parker shotgun. 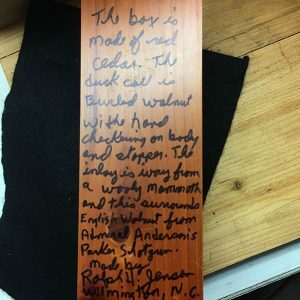 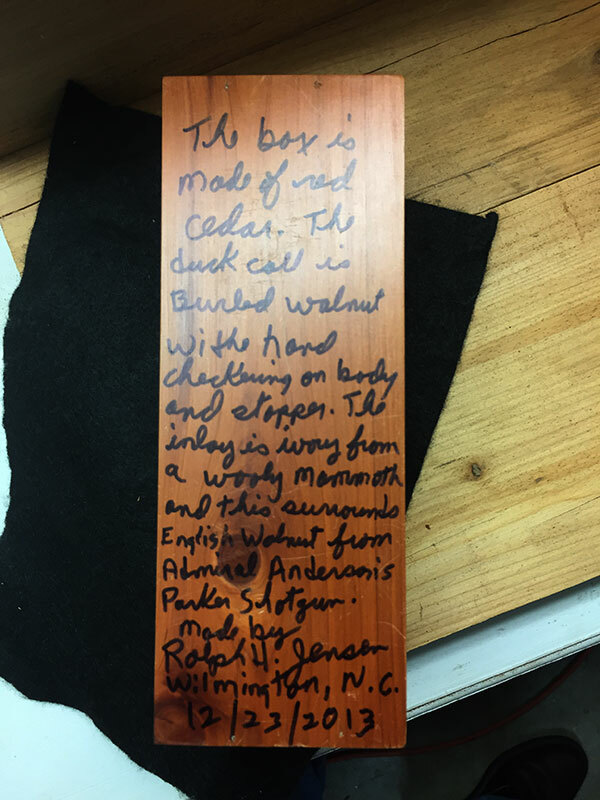 This is truly a one-of-a-kind duck call.